The heady ‘spirit’ of Cuba is set to enchant and delight diners looking for a totally new experience in Bristol when The Cuban opens its doors on Harbourside, near Millennium Square, on Thursday November 7th. Founder Roger Payne says: “The Cuban restaurant and bar will have the same look and feel as our well-established and famous counterpart in London’s Camden Market, where custom runs to over half a million diners a year – proving the immense popularity of our growing brand. “The main focus with The Cuban in Bristol will be its cuisine. Cuban cooking is one of the most diverse in the world, taking its exotic influences from its birthplace in Cuba, the Caribbean, Africa, Brazil, Spain, China and Portugal. 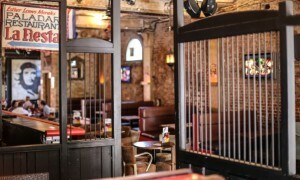 The Cuban in Bristol will also have a unique selection of over 150 rum varieties and specialist cocktails. The fun Cuban atmosphere will be enhanced by a versatile and stylish cocktail menu, featuring not only the ever popular Mojitos, but The Cuban’s signature, award-winning speciality cocktails such as ‘Che’s Revolution’ and ‘Cuba Libre’ made with only the finest fresh ingredients conjured up by mixology expert Tony Safqui, London’s leading and award-winning drinks expert whose detailed research into Cuba inspired him so much that with a twist of his own, has lead to creations that are truly world class. 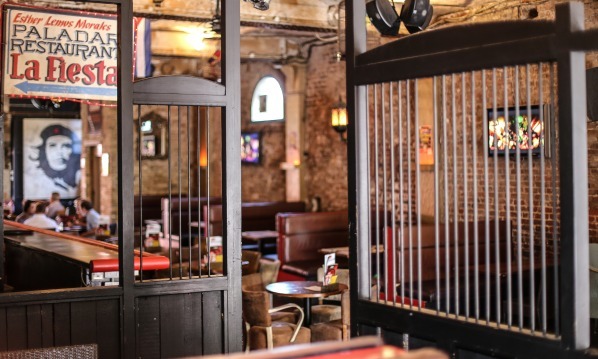 The Cuban in Bristol is an enticing, atmospheric 12,000 sq ft venue with specially created lounge areas and booths in which to enjoy wine, beer and rum along with dining in a relaxed atmosphere. The venue will have a further unique offering for its Bristol customers as it plays host to the famous Jongleurs Comedy Club every Friday and Saturday, featuring the best stand-up comedians in the country in a 280-seater cabaret and events space. Guests in The Cuban will also enjoy specially created ‘Bodega Bar’ theme nights as well as live in-house bands and resident DJs playing popular Latin style rhythms.